Hey, lovelies! I hope you are all enjoying your day. I received my October Birchbox in the mail yesterday and for this month, Birchbox teamed up with goop, an expert lifestyle resource guide, to bring us a few must-try essentials. At goop.com some of the fun features you will find include recipes to try, city guides, and a fair assortment of fashion and home decor bits for sale. It's a pretty neat website, and I am glad I got introduced to it. Now, let's take a peek at what was in my box this month! Sprout Lip Balm in Cocoa: I just love lip balms, so I was happy to see this one included in my box. This lip balm is made with organic coconut oil, organic beeswax, and organic cocoa butter, which helps nourish dry lips. The scent of this balm is right up my alley. 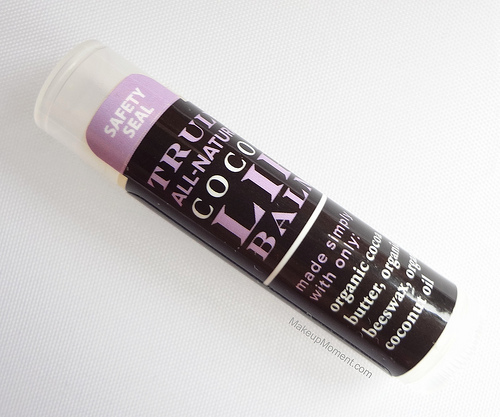 The cocoa butter along with the hint of coconut makes for a very pleasant combination. I applied this lip balm earlier this morning for the first time, and it went on so smooth on my lips. It gave my lips a healthy looking appearance and a really pretty sheen to boot. 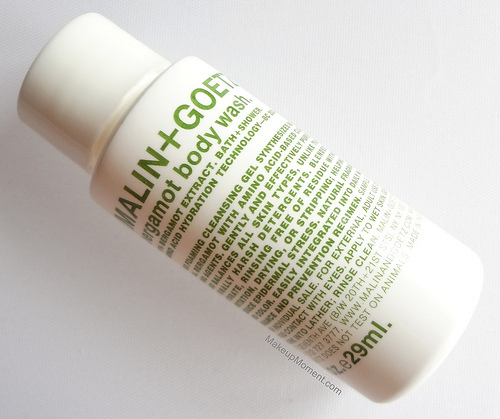 (Malin + Goetz) Bergamot Body Wash: This body wash contains bergamot which helps clean and balance the skin, without drying or stripping it of essential moisture. I tried this body wash in the shower last night and I have to say, I really liked it. It has a gel consistency that lathers up beautifully, and I am happy to report that my skin did not feel dry or uncomfortable at all after my shower. It was pleasantly smooth to the touch. I do detect a light, fresh herbal scent to this body wash but it's not overwhelming, nor does it linger on the skin. The 1oz sample size is sure to last me awhile as a bit of product goes a long way. I think this is a nice, natural alternative to the harsher body washes out there, which can dry out the skin. 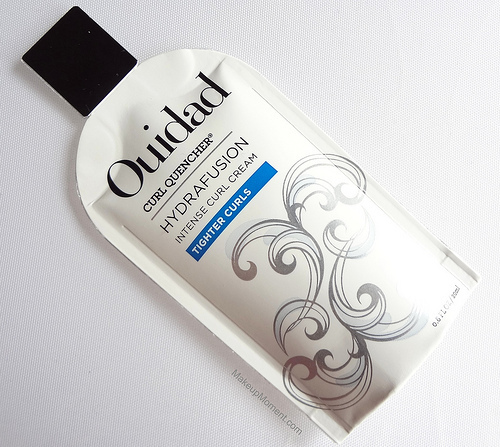 Ouidad Hydrafusion Intense Curl Cream: My curly tresses are sure to love this curl cream which helps tighten, strengthen and soften curls. I have read so many great things on Ouidad hair products so I am definitely looking forward to giving this product a try . Supergoop! 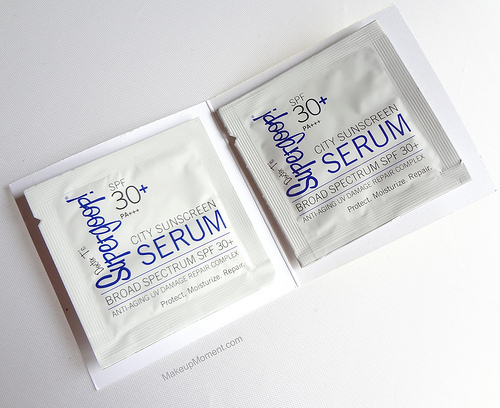 City Sunscreen Serum: I really like the fact that this sunscreen serum contains an SPF of 30. The higher the better, I think. Supergoop! sunscreens are always raved about, so I am glad to finally be able to try one. 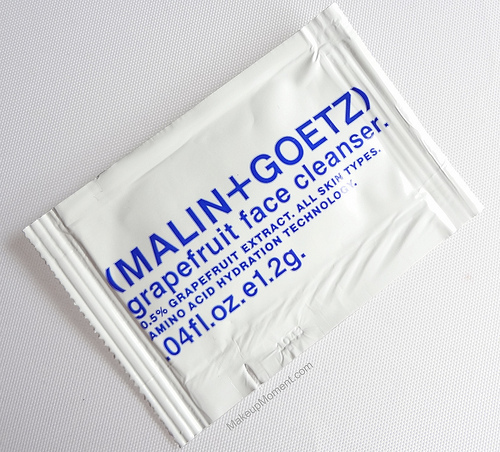 (Malin + Goetz) Grapefruit Face Cleanser: I received another (Malin + Goetz) product in my box. Like the body wash, this facial cleansing gel gently deep cleans and balances the skin without drying or stripping it of moisture. It's great for all skin types and the grapefruit extract that is included helps get rid of dead cells. 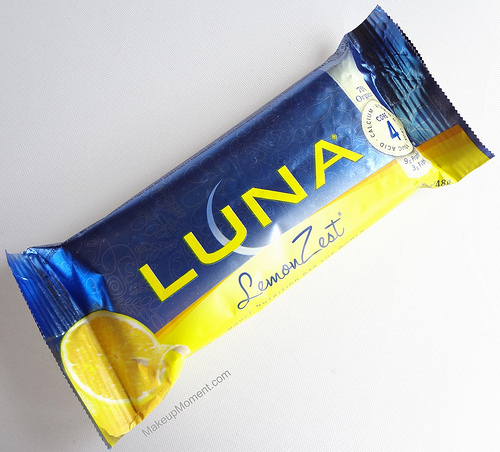 Luna Lemonzest Nutrition Bar: I never can resist snack bars, and this one from Luna is no exception. It looks so yummy! This bar is 70% organic, contains 9 grams of protein, and has 3 grams of fiber. Sounds filling. I can't wait to snack on this later on, today. 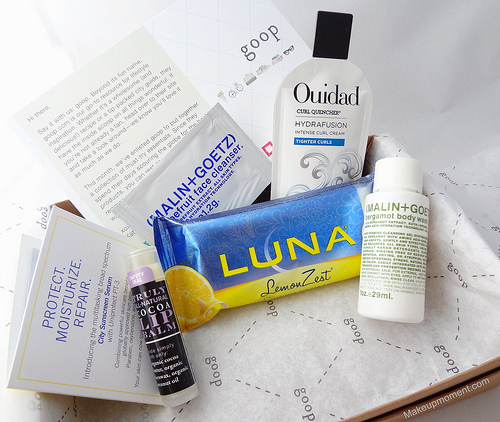 Overall: Honestly, I have gotten more interesting Birchboxes in the past. But I know that some months may be better than others. Not all is lost though. This box was fairly good for the most part. I am enjoying some of the products so far, and the fact that these products are new to me, makes the trial experience that much more exciting. If you are interested in signing up for Birchbox, you can sign up through my referral link if you'd like. Disclaimer: I purchased a monthly subscription to Birchbox for my personal use. If you sign up using my referral link, extra Birchbox points will go into my account that are good towards future purchases in the the Birchbox shop.